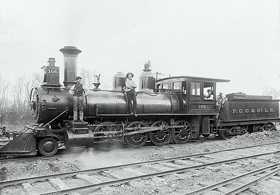 Do you have ancestry who worked in Queensland railway industry? The Queensland Railway Employees records are an index to the employees of the Queensland Railways between 1889 and 1940. The records track the career of approximately 370,000 people covering the entire career of many railway employees. It gives the name, position, branch/office, and railway/division for each person employed in the railway service in Queensland. For those listed after 1889, it also gives age. Prepared from the Report of the Queensland Railway Commissioners for the eighteen months ended on 30th June 1890, this database covers appointments and removals in Queensland Railways for the previous twelve months. Listing 1,020 entries, it names people not mentioned in the Queensland Government Gazette indexes and gives the reasons for the appointment/removal - information we can't often find out.